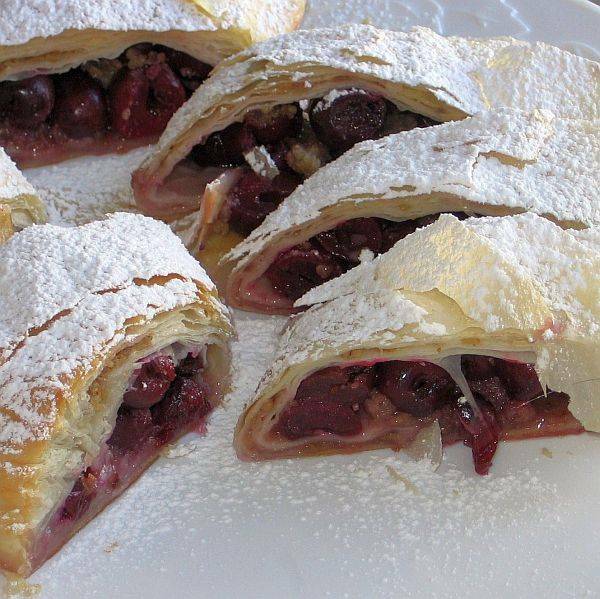 The Tart or Sour Cherry should be required for every home. A bowl of Tart Cherries… life doesn’t get much better! The Tart Cherry (a.k.a. 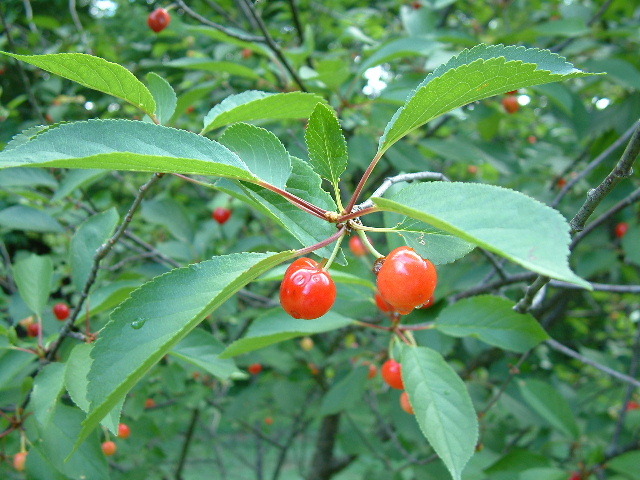 Sour Cherry) is closely related to the Sweet Cherry, but as the name implies, it is significantly tarter than its cousin. 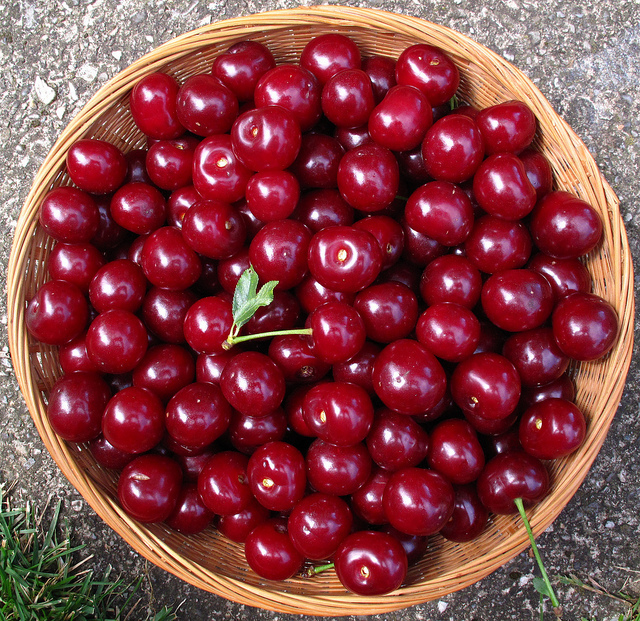 Tart Cherries can be eaten fresh when perfectly ripe, but are most widely used for baking and cooking. The fruit alone is enough reason to grow this small tree, and if space is an issue consider dwarfing varieties at only 3-6 foot (1-2 meter) tall “trees”. Tart Cherries are beautiful in the Spring, provide nectar and pollen to beneficial insects, and its wood has a number of uses. 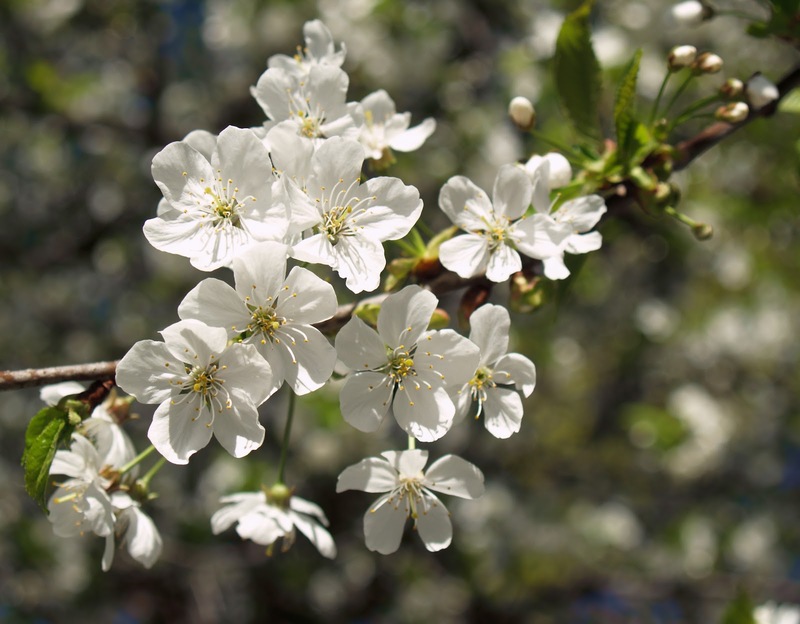 It is significantly more hardy of cold, heat, drought, pests, and disease than the Sweet Cherry, and there are plenty of varieties to choose for your home or Forest Garden. It is believed that the Tart Cherry (Prunus cerasus) was a wild cross between the European Dwarf/Mongolian Cherry (Prunus fruticosa) and the Sweet Cherry (Prunus avium) somewhere in what is now modern day Turkey. 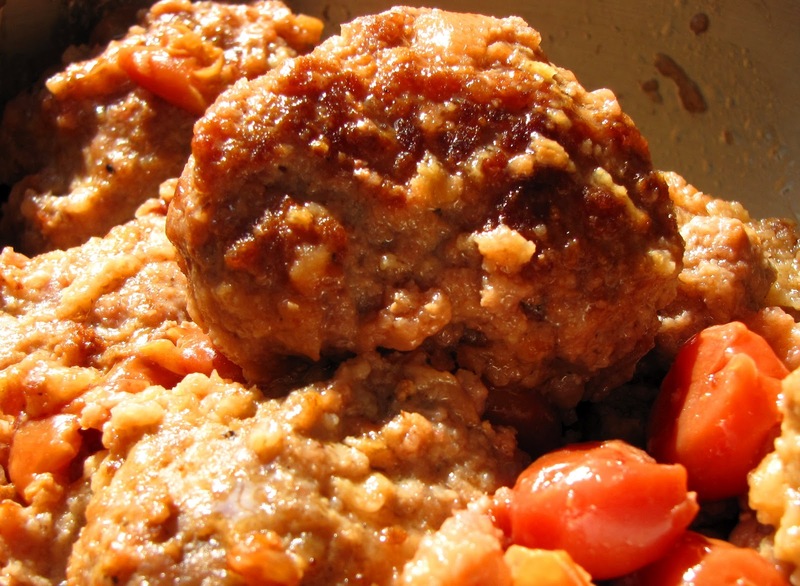 It was prized by the Greeks and Romans, the later who introduced it to Britain. 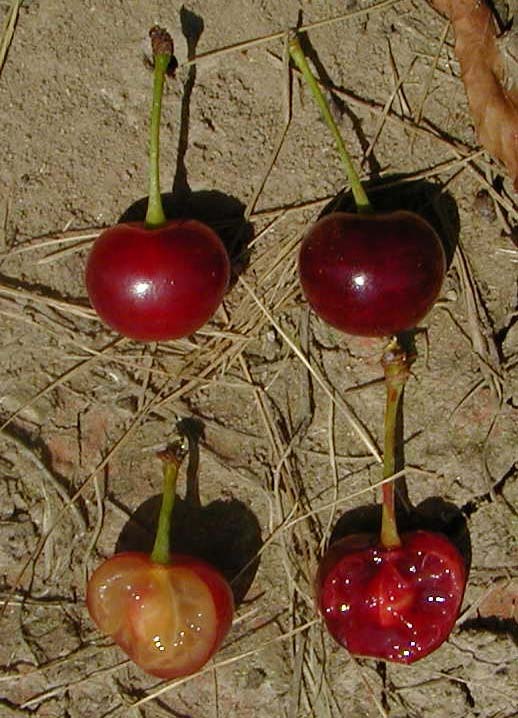 The ‘Kentish Red’ Tart Cherry was the first Tart Cherry planted in North America by British colonists in Massachusetts. There have been many cultivars/varieties developed around the world, and it still remains popular today mainly for baking, cooking, and juicing. Marasca cherries are a type of Morello Tart Cherry which were traditionally used to make Maraschino Liquer; modern Maraschino cherries are made with a number of cherry varieties which are bleached, dyed with red food coloring, and then soaked in sugar water and almond extract. Fresh eating – Many varieties can be eaten this way, but typically they are only eaten fresh when fully ripened on the tree. When not perfectly ripe… well, there is a reason they are named “tart”. Storage: Fresh Tart Cherries should be used within a few days. Tart Cherries typically freeze well. Tart Cherries can be full sized or very dwarfed – will fit in any space. 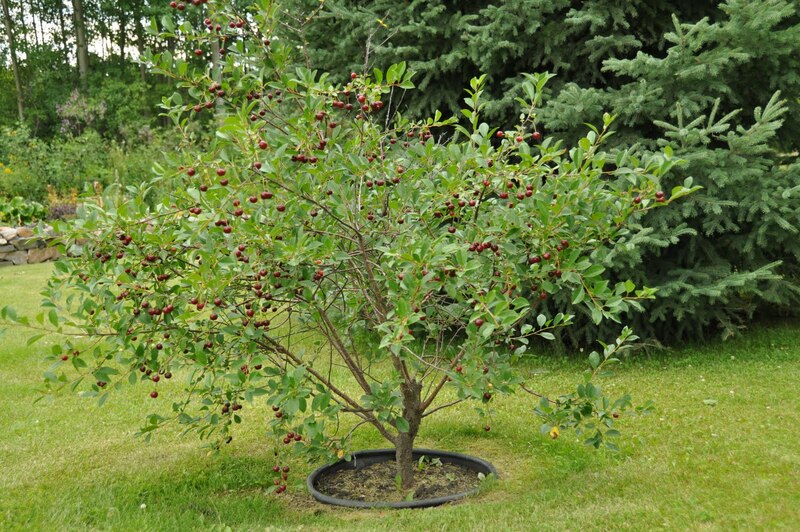 Tart Cherry trees can be stand alone specimen trees or incorporated into a Forest Garden. Size: Standard (full-sized trees): 15-30 feet (4.5-9 meters) tall and wide depending on the variety/cultivar, and most do not reach max height. A variety of rootstocks are available that will produce Standard, Semi-Dwarfing (Semi-Vigorous), Dwarfing, and Bush types resulting in various sizes. 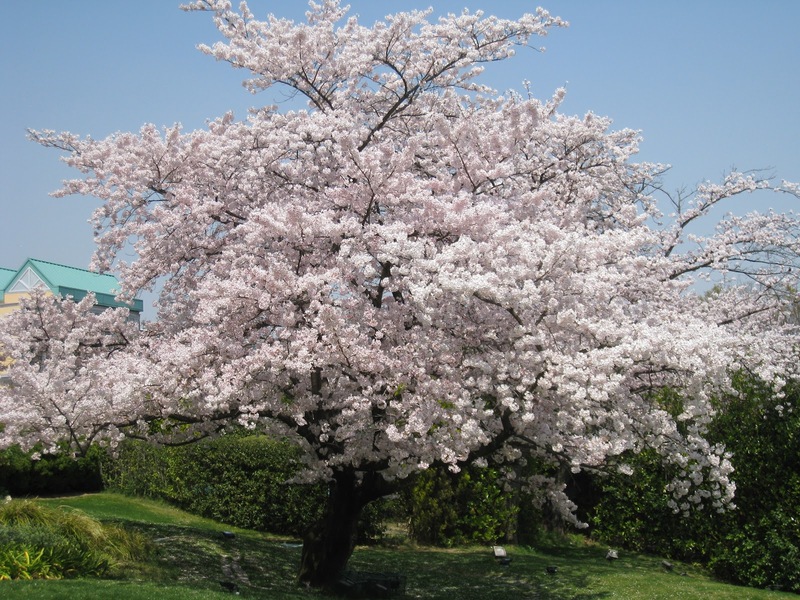 Largest is probably the Kentish Red Cherry (Prunus cerasus caproniana) at 30 feet (9 meters) tall. Shortest is probably the Bush/Dwarf Sour Cherry (Prunus cerasus frutescens) at 3 feet (1 meter) tall. Beautiful flowers that attract beneficial insects… perfect!